A crop sensor is one that still uses the lenses from the "original" sized sensor I.E. DX is a crop from FX. M4/3 is not a crop as the lenses were designed for that size. Same with 1" sensors. So, the m4/3 sensor with the native lenses is actually full frame. This just shows the silliness of those that think full frame is something wonderful when all it means is the lenses were designed for the sensor size. It is marketing nonsense. BTW, medium format is also full frame as is 8X10". 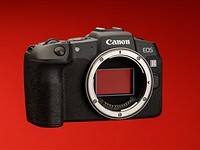 So, I take the above comment of "Crop sensor Mirrorless" to mean DX (APS-C) format.